This month, the topic is plants and art and I had planned to get my little bathroom plant crew (a few ferns and lovers of low-light) and photograph them with some of my old botanical illustrations. But yesterday, I bought this little beauty as a birthday present for sister and just couldn’t resist photographing it before I hand it over to its new home. 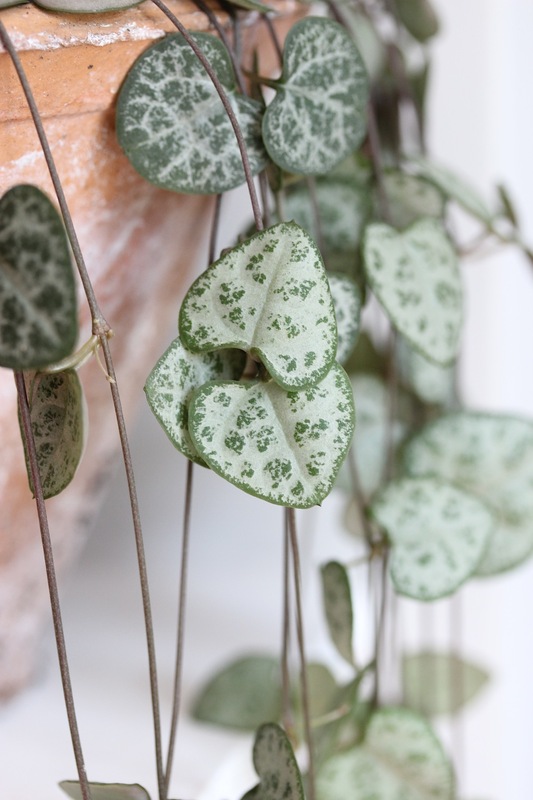 It’s called string of hearts (Latin name: Ceropegia woodii) and, oh my goodness, it is an absolute stunner. I didn’t know it before (I’m not wildly up on houseplants, it has to be said) but it stopped me in my tracks when I went into the flower shop originally to try and buy a small succulent in a terracotta pot. I couldn’t resist. 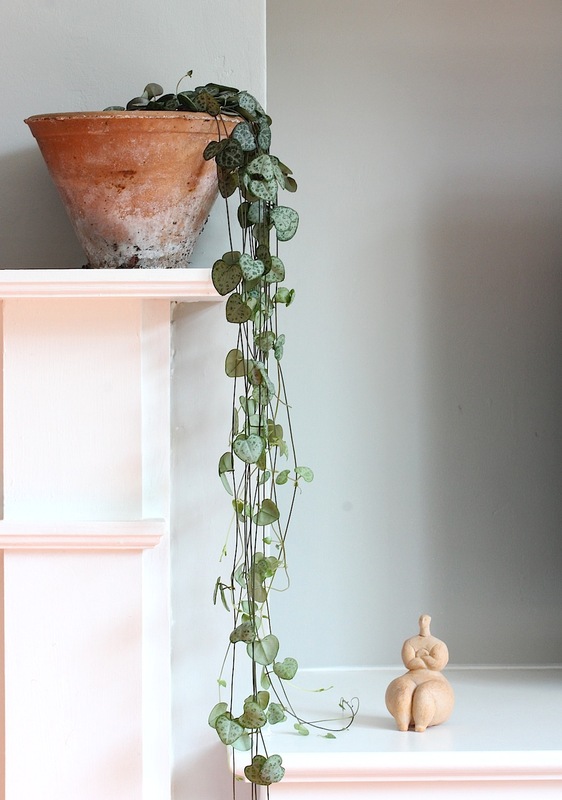 The glorious little marbled heart-shaped leaves spaced out on a long string-like stem makes it just beg for an old pot and a position on a high shelf, where it can cascade down appealingly. Pretty to look at and easy to care for: basically my idea of the perfect houseplant. So, that’s my contribution. Do head over to Urban Jungle Bloggers to see more, or take a look at the #urbanjunglebloggers hashtag on instagram. I can already tell I will be enjoying taking part in this monthly challenge hugely. 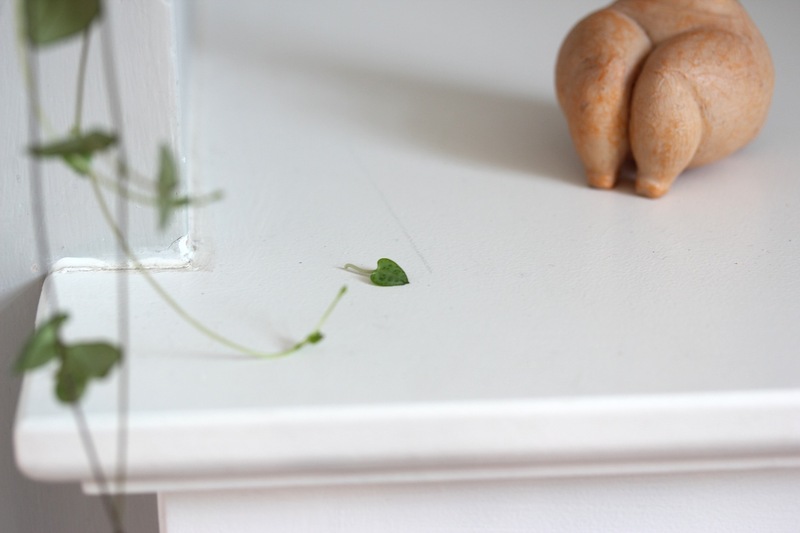 But now, I think, I must run back to the flower shop and buy one of these string of hearts plants for myself. I think I’m just going to miss it too much once I give this one away. *Actually, if you’re a regular reader, you probably won’t be in the slightest surprised, knowing that my To Do list is generally six pages longer than my “Done” list, ha ha. Thanks Mel! I know, it’s a real beauty isn’t it? I handed it over to my sister today and she loved it… Really must buy myself a new one though, ha ha. Love my String of Hearts. It lives outside in partial sun during the summer and “winters” in a sunny window. Oooh, and where you do you have it outside? Somewhere high up, or do you just let it trail low-down? I am completely in love with this plant now, would like to put it everywhere, ha ha. ooh realy beautiful blog post,The green color brings out the warmth of the room. You may buy this great plant online or from the flower and plant dealers. thanks for more information in this site. I have also 2 species of this rosary vine，one is green and other is pink.They do not like too much water.Now the pinky one is very long about 4 feet.The beautiful tiny string of heart,I like that very much.